“Tom you’re talking whilst I’m talking, this is your warning, you’re in orange”. “Tom you’re still talking that’s red”. The traffic lights wall chart method is one of the most common behaviour management methods used in schools across the world. The problem is, wall charts aren’t engaging anymore; teachers don’t have time to log all the behaviours, and forms get filed away and never looked at again. 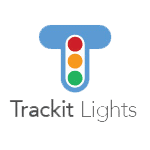 So we have invented the first traffic lights app for the interactive whiteboard and it’s free to download from our website! Its stunning digital interface is visible whist using the rest of the board for teaching and learning. It logs all behaviour effortlessly in real time, building up a profile of every pupil and every class, and producing graphs, trends and statistics. Kids love it because it’s far more engaging than a wall chart. Teachers love it because it reduces paperwork and Head teachers love it because it helps them monitor and evidence behaviour. The data captured can be used to support pupils in a more holistic way and enforce healthy boundaries with less confrontation. Please come to meet us to understand more. We’ll be on stand G369 at Bett 2017.